As per the Maharashtra High Court undertaking, the State Government has tightened the security across government hospitals post the doctors' strike. The Bombay High Court on March 23 ordered protesting doctors in the state to call off their strike and resume duties and give the government some time to provide them proper security. This came Maharashtra Chief Minister Devendra Fadnavis appealed to the doctors to call off their strike as well and assured them that the government would ensure their security in hospitals. The HC also ordered the government to provide adequate security at government hospitals for the doctors, so that they could go to work without fear. The High Court further said that it would hear the matter again after 15 days. The High Court Chief Justice further asked the government that no punitive action was to be taken against the protesting doctors once they resume their duty. Nearly 4,000 resident doctors were protesting, demanding enhanced security in the wake of a string of attacks on doctors by patients' relatives at government hospitals across the state. The protests had hampered the services of Out-Patient Departments (OPDs) in various hospitals. 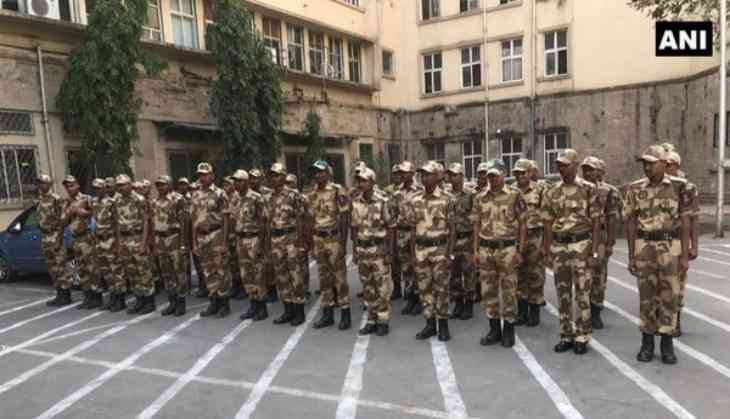 The Maharashtra government had earlier promised to deploy 500 security personnel from Maharashtra State Security Corporation in the hospitals by April 1.